At a boarding school in New Hampshire, Ben joins the honor society led by Pierre LaVerdere, an enigmatic, brilliant, yet perverse, teacher who instructs his students not only about how to reason, but how to prevaricate. As the years go by, LaVerdere's covert and overt instruction lingers in his students' lives as they seek some sense of purpose or meaning. When Ben feels the pace of his life accelerating and views his intimate relationships as less and less fulfilling, there seems to be a subtext he's not able to access. And what, really, did Bailey Academy teach him? While relationships with his stepmother and sister improve, and a move to upstate New York offers respite from his anxiety about love and work, LaVerdere's reappearance in his life disturbs his equilibrium. Everything he once thought he knew about his teacher--and himself--is called into question. 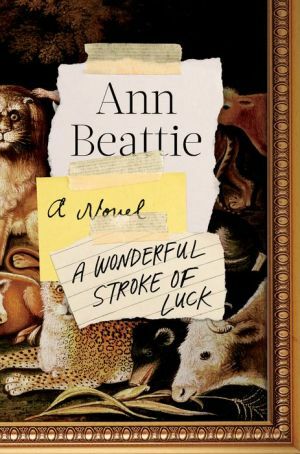 Written by one of our most iconic writers, known for casting a cold eye on her generation's ambivalence and sometimes mistaken ambition, A Wonderful Stroke of Luck is a keenly observed psychological study of a man who alternates between careful driving and hazardous risk taking, as he struggles to incorporate his past into the vertiginous present.